The latest updates came from last night’s comic con event being held in San Diego. The 2D adventure video game is all set to knock the doors of gamers with its Sega Genesis days. It will have three playable characters – Sonic, Miles “Tails” Power, and Knuckles. Moreover, it will include more and new abilities and worlds to explore. In addition to above, the classic game will include classic stages which will feature “new twists” members of Sega as told during the comic con 2016 session. Below is the latest released trailer. The officials made the announcement that the game can be played at the event itself. 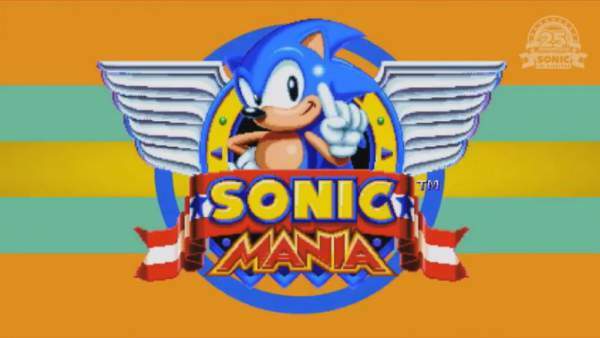 SonicMania is released to mark the 25th anniversary of the series. However, it will be released next year only and not before that. Last month, some reports emerged confirming the title of the next game in the franchise. Sega celebrated the birthday of Sonic on June 25. It is the biggest announcement so far out of several pieces of Sonic-related news coming out of this year’s Comic-Con event, including a merchandising crossover between Sonic the Hedgehog and Sanrio characters, like Hello Kitty. Sonic Boom: Fire and Ice are all set to be released later this year on Nintendo 3DS. It will launch in the month of September 2016 and will be based on the Sonic Boom cartoon which airs on cable channel Cartoon Network. Moreover, the cartoon show is going to return with its second season. As of now, it is in production. Sonic Mania release date is not finalized in particular but will release in spring 2017.